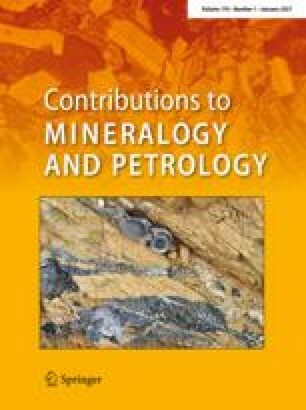 Field, mineralogical and petrological data are presented on a newly found carbonatite occurrence associated with “kamafugite” lava at Cupaello, central Italy. This carbonatite occurrence is part of the Late Pleistocene Umbria-Latium ultra-alkaline district (ULUD) which extends southwards within the Apennines to Mount Vulture, delineating an important magmatic province along the most peripheral belt of the Tyrrhenian extensional tectonic system. This province is distinct, but probably related genetically with the more abundant and common leucite-bearing assemblages of the Roman Comagmatic Region and represents the first reported occurrence of carbonatite assemblages in the Mediterranean Basin. The Cupaello suite indicates that primary or near-primary mantle silicate melts of “kamafugitic” composition are transitional with Ca-carbonatite liquid and provides direct evidence of immiscibility of carbonatite from “kamafugite” magma. It is inferred that a primary mantle origin of Ca-carbonatites is conditional upon a potential silicate magma that may be coupled with the carbonatite, but may not have reached the surface. The data indicate a strong genetic link between ULUD Ca-carbonatites and some African analogues, supporting the view that their genesis depends on similar source and associated tectonic conditions.